One of the things that I’ve loved about gaming in recent years is the explosion of Let’s Play videos and streaming. With the new opportunities gamers have to capture themselves playing more easily, it’s bringing us back to a day of speed runs, high scores and documenting really monumental achievements that players are accomplishing every day. 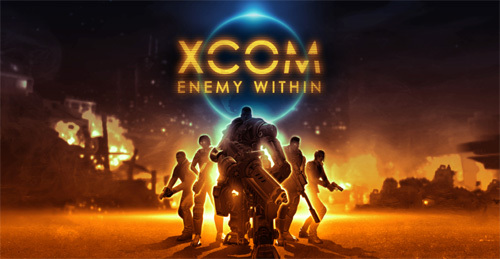 Take for instance the Impossible Ironman playthrough of XCOM: Enemy Within by Youtuber Antti Kokkonen, where he managed to beat the game’s new expansion pack on the hardest difficulty, with no saves—losing zero soldiers. It’s one of those things that’s almost impossible to imagine if you’ve played any XCOM, and experienced its startling brutality firsthand. This writeup by PCGamer is incredibly fascinating, breaking down the most nail-biting moments and critical saves that Kokkonen experienced over the course of his time playing the game. This is one of those things I could totally see myself doing if I had the time. I remember spending hours in front of Mario 64 trying to perfect the timing of jumps and platforming, and running through Metal Gear Solid on total memory in just around 2 hours. What kind of madness have you pulled off in a game recently? Have you watched any of Kokkonen’s playthrough? Go! Well, I beat Ornstein and Smough on my first attempt on New Game + AND I was fighting Super Ornstein. To those of you who haven’t played Dark Souls, O&S are complete bastards who will ruin your day. But in a fair way, unlike Bed of Chaos. This reminds me so much of how I would try to perfect runs when I was younger. I kinda lack the motivation now with my new found ability to afford more games. The desire to do it with SOME games still exists, like in Dark Souls or in Total War which are now the few games I bother to replay at all. I haven’t done anything this crazy in a long time; the thing I remember the most is getting the Zombie Genocider achievement in the original Dead Rising. That game was silly, you had to wait out the whole three days to get the achievement’s reward (the mega buster from Mega Man X) to unlock. I tried doing 7 Day Survivor, but back then even I didn’t have 13 hours straight to leave my Xbox on and baby-sit it. These are the kinds of Let’s Plays that I dig, not some dude with 1,789 parts of Amnesia where he shrieks into the microphone the whole time.